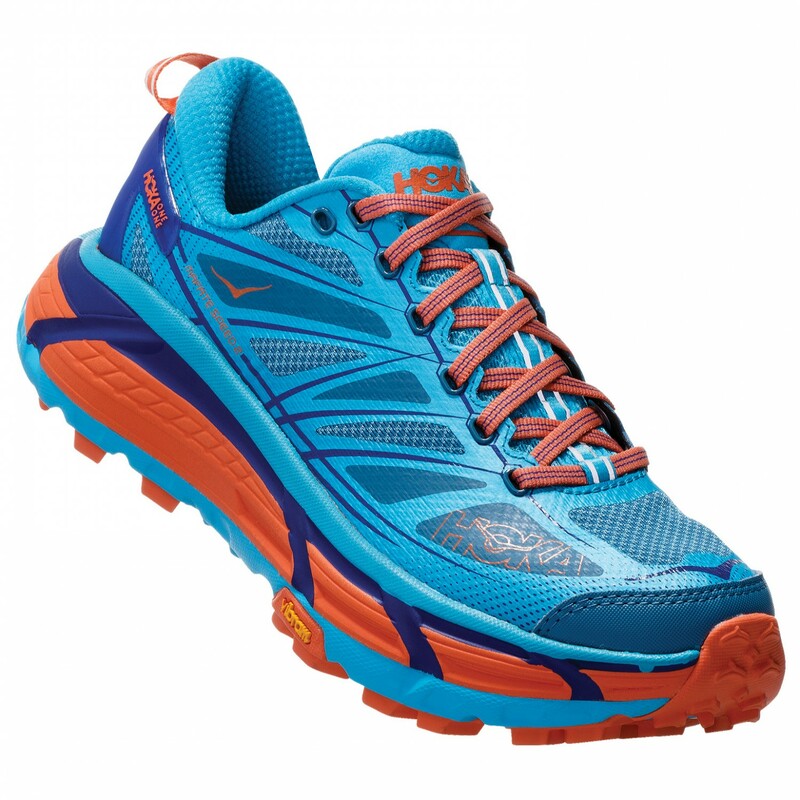 With the Women's Mafate Speed 2 trail running shoes from Hoka One One, you can conquer any terrain! 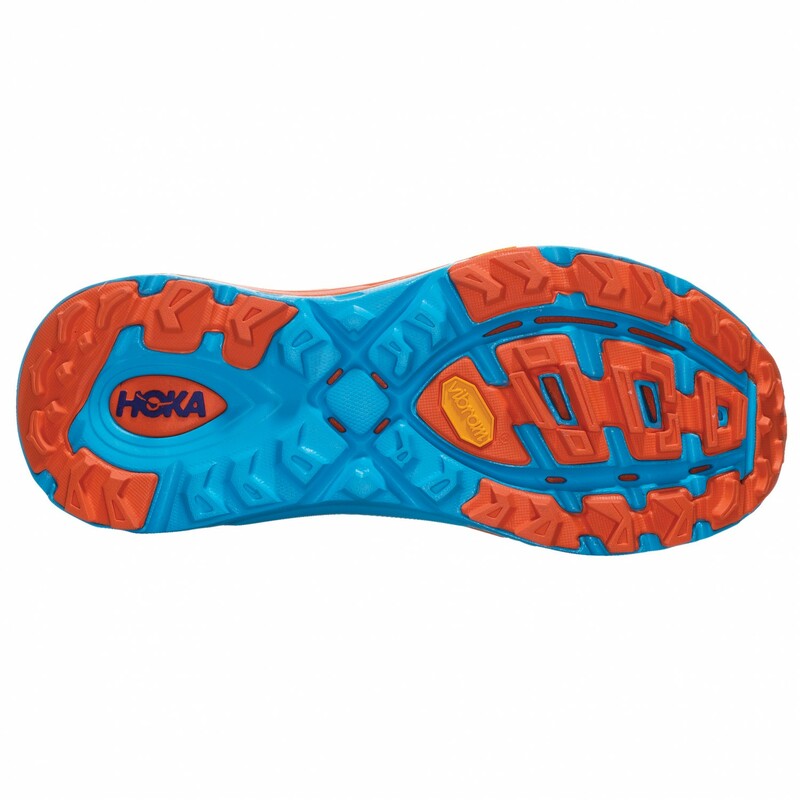 The incredibly grippy Vibram MegaGrip outsole with flex grooves will provide superior grip even on wet surfaces and the necessary stability on uneven terrain. 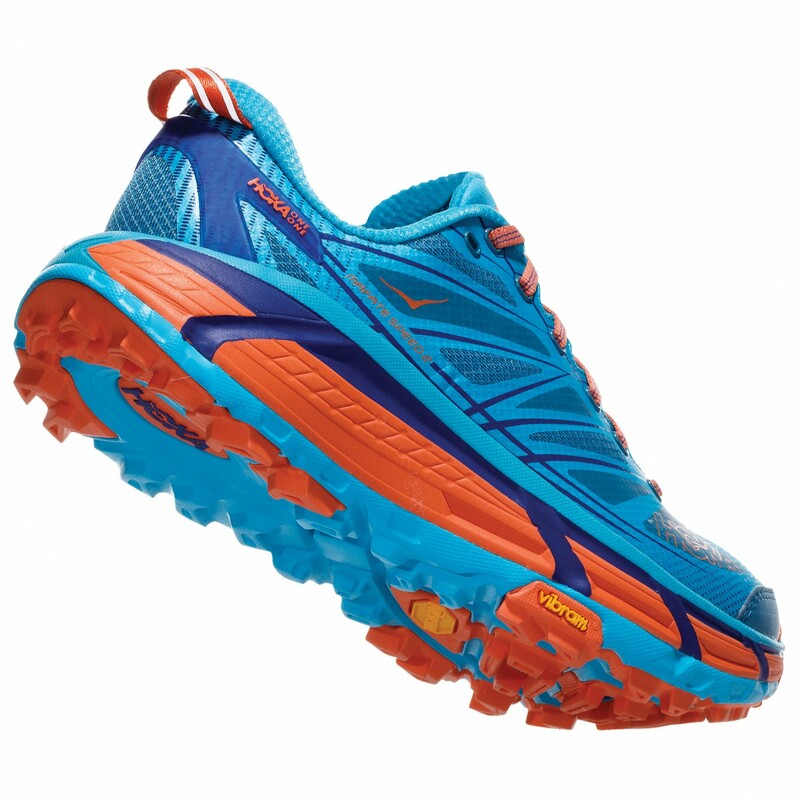 The CMEVA and RMAT midsole construction will absorb impact efficiently, providing maximum comfort and shock absorption on those long trail runs. 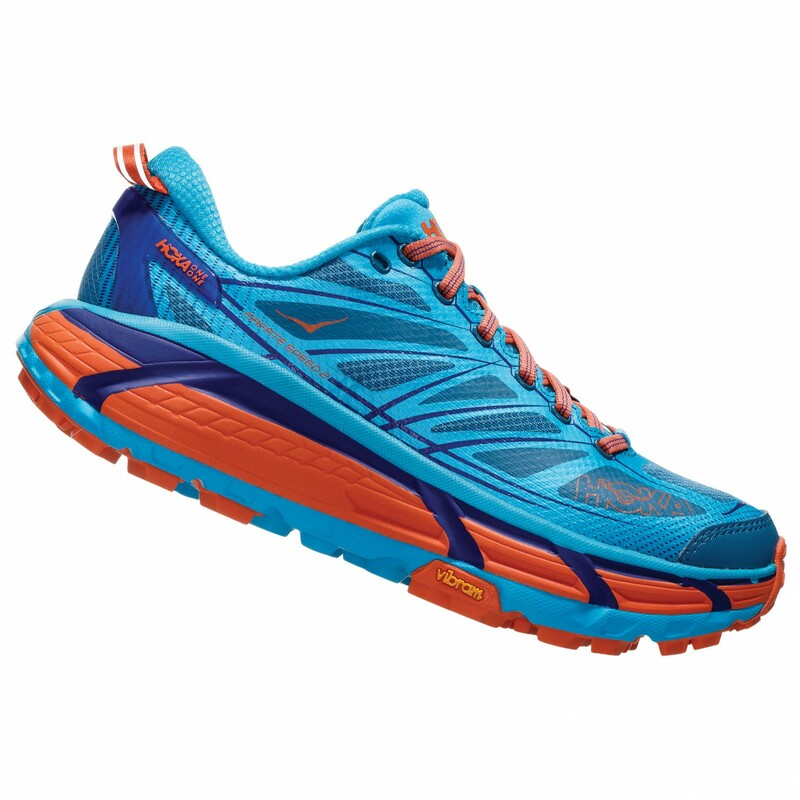 The low drop and curved sole profile serves to support the natural foot roll whilst providing superb cushioning. Of course, this shoe is no slouch when it comes to comfort, either. 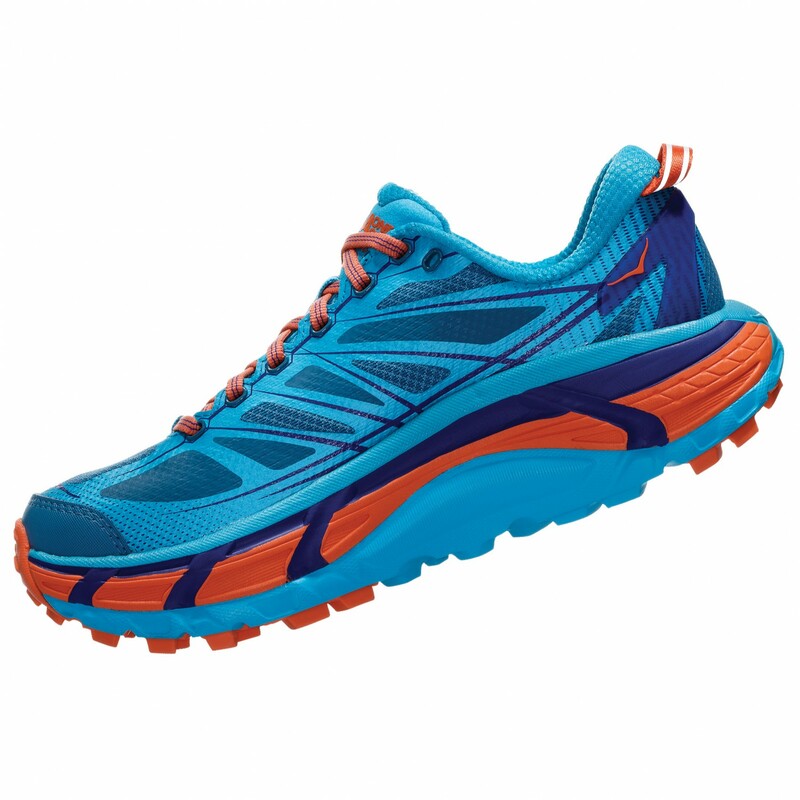 It boasts that wonderful no-sew SpeedFrame and breathable mesh upper we've all come to know and love! 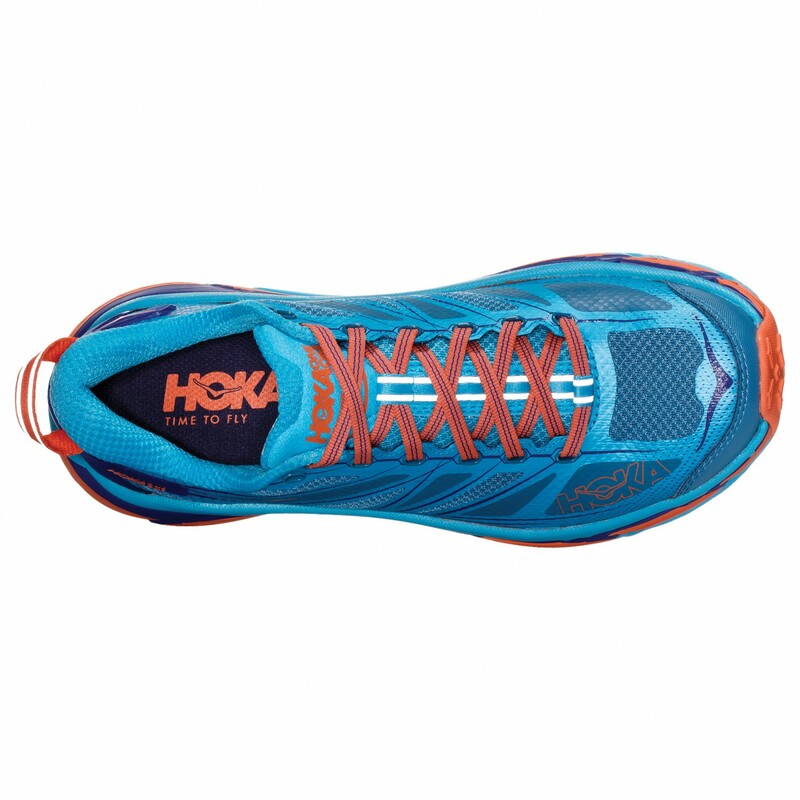 With the Women's Mafate Speed 2 trail running shoes from Hoka One One, you'll have the comfort and stability you need on the trails.